It has been a over a year since the arrival of my last Dollfie Dream (Saber Lily). I will admit that though I have not had any recent arrivals I did preorder Saber EXTRA and Saber Alter II through VolksUSA and more recently I got lucky with their lottery and won Lucy from ToHeart 2. 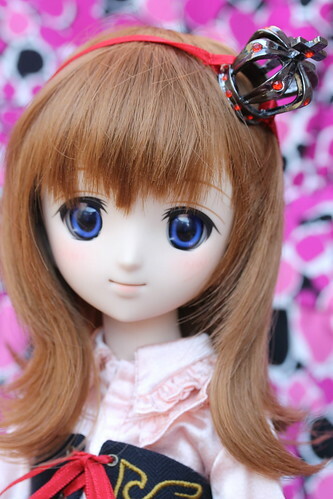 I had been desperately wanting a new DD but since I have the three coming in June I was trying to be good…unfortunately for my wallet I happened to be browsing on eBay and spotted this darling at a price I could not resist. Maria is from When the Seagulls Cry (Umineko no Naku Koro ni) which was originally a murder mystery visual novel game, that eventually became a manga before finally getting a twenty six episode anime series. Maria’s purchase was a perfect storm brought on by several factors… I had always loved her design but had been able to resist before because I hadn’t watched/read/played the series myself , guess what I happened to watch recently! 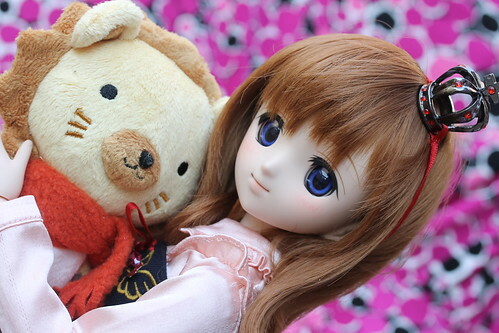 As much as I have been wanting a new DD in general to play with I was especially interested in a new MDD as I only owned one prior to Maria and poor Illya looked a bit out of place being the only one in her size range. 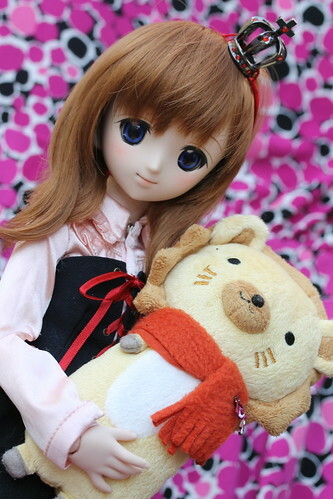 Plus Maria is just super adorable and just not a DD you see around too often. 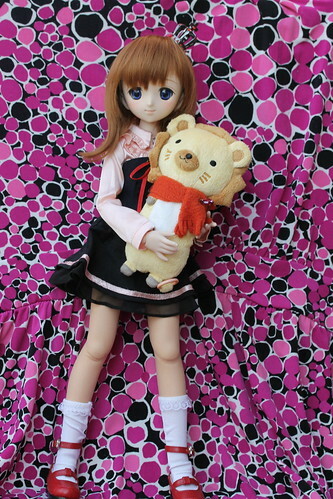 Maria even came with her Sakutaro plush! I almost immediately disassembled her , so I could use some of the tricks I learned with Illya to make her less floppy (MDD bodies have a tendency to be rather floppy). I put her back together and she seems to have a lot more stability now. I love her face up, it’s easily one of my all time favorite stock DD face ups. 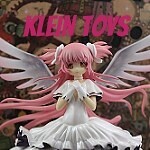 Some additional photos of her on my flickr (with more to come very soon!). 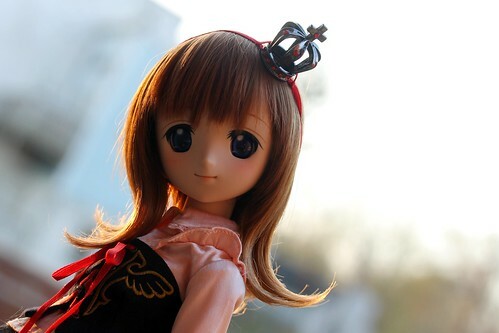 This entry was posted in Doll, Dollfie Dream and tagged Dollfie Dream, maria, mini dollfie dream, Umineko, Umineko no Naku Koro ni, volks, when the seagulls cry. Bookmark the permalink.